Lime, the bike- and scooter-sharing startup, is the biggest success story to emerge from SkyDeck. The company was created by Cal grads Toby Sun and Brad Bao, who were part of a 2017 SkyDeck cohort. Kiwi Campus , a robotics startup focused on last-mile delivery, and TDK-acquired Chirp Microsystems, are also SkyDeck graduates, as is the mental health startup Aura, which announced a $2.5 million financing just last week. PredictEV : Focused on the sports and esports market, PredictEV is a blockchain-powered social network for fans to bet on sports with cryptocurrency. Researchably : Targeting medical research, pharma sales and outreach teams, the startup provides a research-based medical advice system. Triton : A software platform that helps media companies tailor content to each individual reader or viewer. Triton is currently running pilots with Vanity Fair and The CW. Predictim : An AI-powered platform that accesses a person’s trust and reliability. The purpose is to eliminate risk for members of the sharing economy. Basically, it will help you figure out if your dog-walker is a murderer. Seamless Microsystems : Designs and manufactures semiconductor chips for consumer medical imaging, 5G networking LIDAR in autonomous driving and more. SoftRides : Using AI and a smartphone’s image sensor to detect distracted driving behavior and alert you in real time. Eye Level.AI : Founded by a group of former IBM Watson employees, Eye Level.AI provides an analytics-driven platform to assist chatbot owners to monetize current users and attract new ones. Perfect Dashboard : An AI-powered online marketplace for connecting SaaS products to small businesses. The SMBX : A provider of a mobile marketplace that connects small businesses with people interested in investing in them. Chameleon Biosciences : A startup focused on revolutionizing gene therapy to treat rare diseases. ThinkCyte : The company has invented new imaging technology combined with machine learning, called Ghost Cytometry, to analyze and isolate cells for drug discovery, cell therapy and clinical diagnostics. 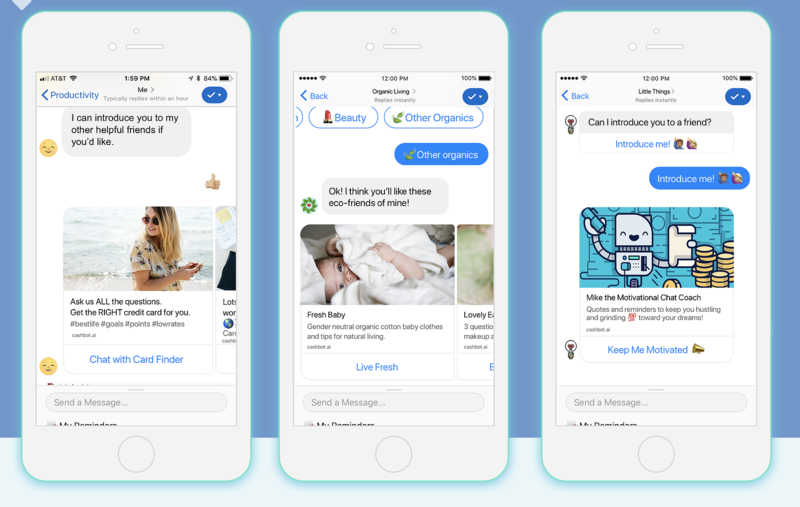 Snipfeed : With 44,000 weekly active users, Snipfeed helps Generation Z mobile users avoid misinformation online with its AI-powered news and information recommendation engine. DropEx : A business networking app and relationship management system. Peanut Robotics : The startup’s consumer-facing robot can grip household items to assist with cleaning at hotels, offices and airports. Empire Biotechnologies : The company is developing therapies for gastrointestinal issues, specifically short bowel syndrome. Empire’s drug is used to control the absorption of nutrients through the digestive system. Humm : A developer of wearable cognitive performance enhancement hardware created by a group of researchers at the University of Western Australia. CoolJamm : An automated music producer and recommendation engine that uploads directly to YouTube. Bungee : Led by three former Amazon employees, Bungee helps e-commerce businesses mine geo-specific data to create a recommendation engine for price, promotions and inventory. SimpleDataLabs : The creator of Prophecy, a predictive analytics platform focused on business analysts and executives. Skyloom : The company wants to improve space-to-Earth communications and unlock “the true economic potential of low Earth orbit” with its spaceborne infrastructure.